My dad always like to cook Chinese food. He gets very excited whenever the opportunity arises. This time, it was just him and I who were home for dinner. And he decided to make a one pot meal. This dish is actually quite easy. 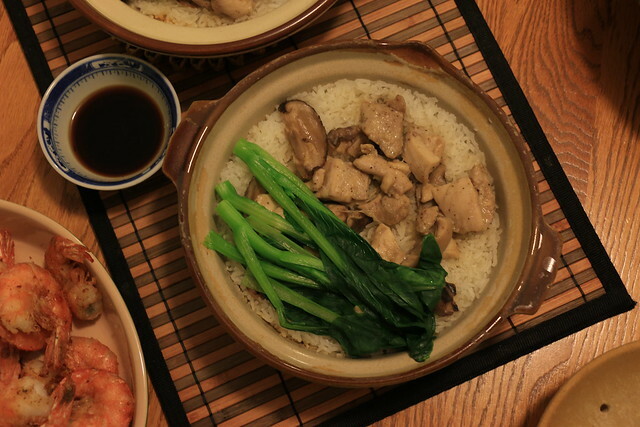 There are only a handful of ingredients needed; rice, vegetables and your choice of meat (usually chicken or pork). These clay pots can be found at most Chinese grocery stores. If you have a Chinatown in your city, I’m pretty sure you can get a hold of these (or similar) for cheap. 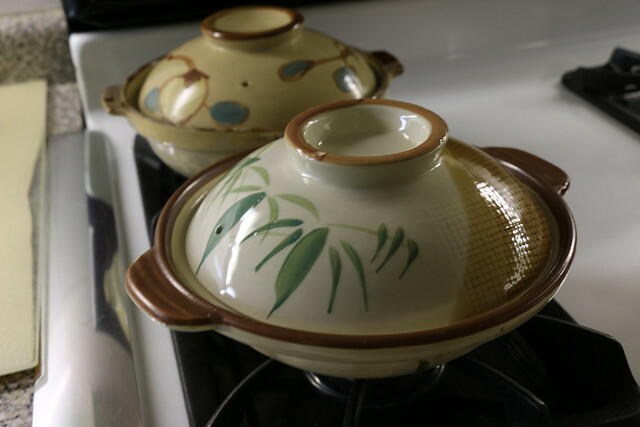 I think these (above) were my grandma’s…she probably brought it over from Asia. My dad chose to use chicken. 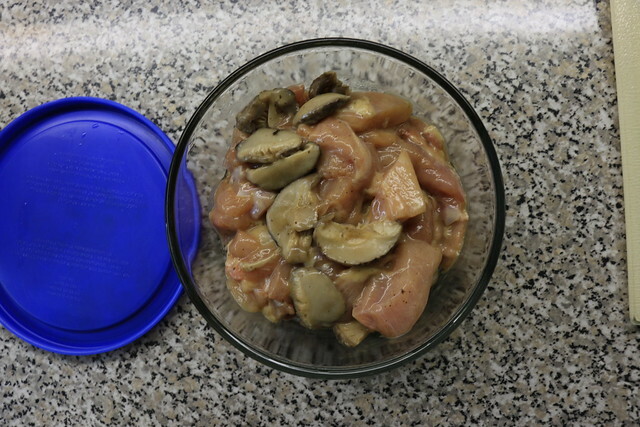 It really depends on what part of the chicken you prefer…we had chicken thighs in our freezer. Season the chicken with oyster sauce, sugar, a few drops of cooking alcohol (optional), soy sauce, sesame oil, ground black pepper, salt and a bit of corn starch (to thicken if there’s too much liquid). 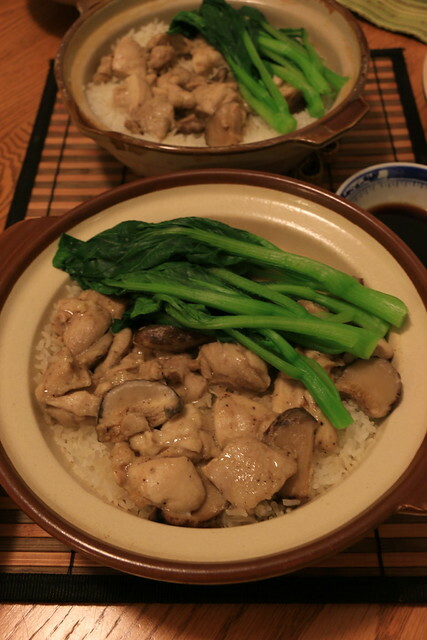 He also added Chinese mushrooms to the mixture. I can’t tell you the exact amount because it depends on how much meat you have. Chicken wings (cut up into pieces) or pork spare ribs (cut into small pieces) will do just fine. 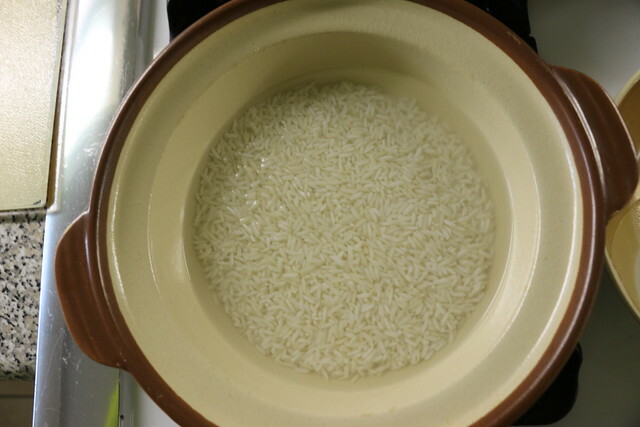 Cook the rice in the clay pot and turn down to medium heat when rice water boils. 5-7 minutes before the rice is ready, put the meat on top and cover to cook. 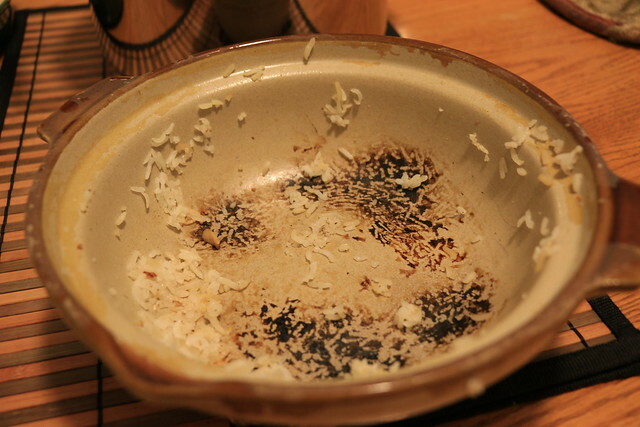 Turn the heat to high if you want to find some crispy rice on the bottom of the pot. Dad boiled vegetables in another pot and put the cooked vegetables on the top when read to be served. Optional: cook some soy sauce and sugar to pour over rice when being served. Ha! We each had a pot of rice and chicken. My favourite part of this dish is definitely the crispy rice! You can see the brunt rice bits above. It’s a custom, in my family, to soak the pot with soup to clean up all the good bits at the bottom. P.S. You can sometimes find this sort of dish at dim sum.